Of course we get Red Sox for the two colored parallels! A nice selection of teams for the refractors as well. 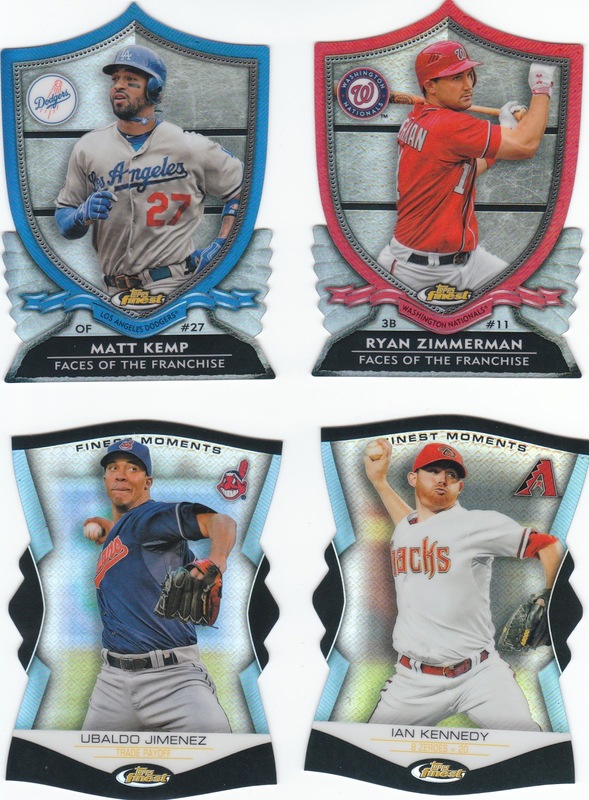 Personally, I love these die cut cards in Finest (and Bowman Platinum for that matter). They are crisp, great quality card stock and they just came out really well. 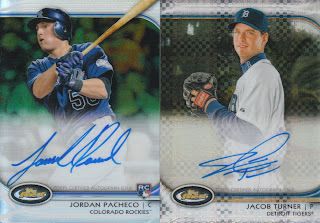 And finally, the two hits from the master box... 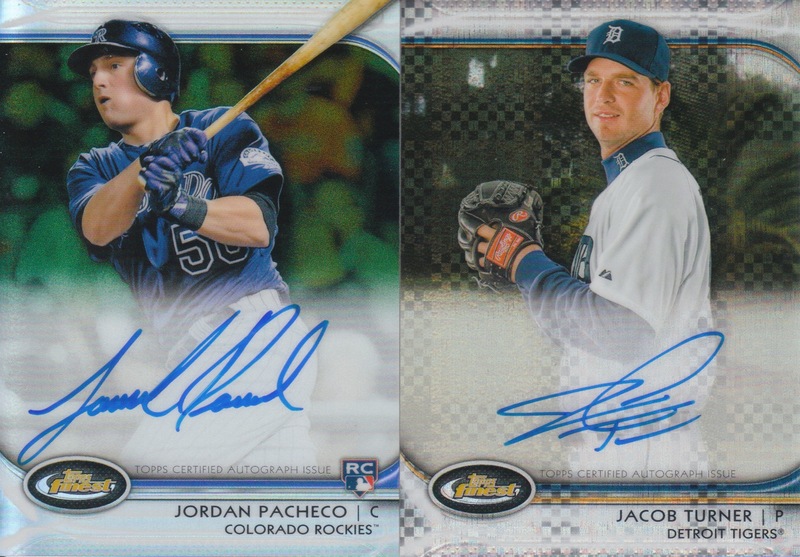 I was really hoping for an auto/relic but alas, we got two on-card autos. Turner ended up with the Marlins this year in the Infante/Sanchez deal, and I have no clue who this Pacheco kid is, hopefully for Cardhobbyist the next Gary Carter or Johnny Bench for the Rockies! Thus wraps up another group break. 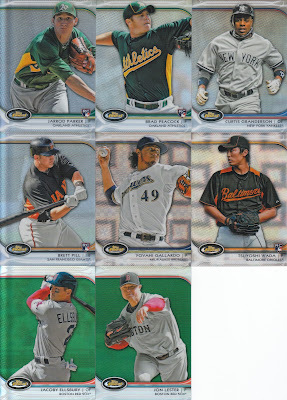 No offense to those who got the Finest hits, but I personally feel the Finest box was a bit of a let down, but I think those who ended up with base and inserts will agree that it's a great looking base product. Hope everyone enjoyed the break! Thanks ! I'd love a mini box and a wrapper if possible. You could put my cards in the box to mail to me ! Bit of a let down. Typical Topps. One of the hits dudes should have gotten an auto-relic, indeed!